When I was pregnant with Liam, Matt took photos of my growing baby bump. He took a photo every month or so and I have them all in a little album in our living room. For this pregnancy I finally had Matt take a photo of my bump at 8 months! I'm pretty sure I'm not the first pregnant lady who sort of "forgot" or just didn't take the time to document their bump the second time around. I am definitely feeling huge this time. More huge than I did with Liam. It feels and looks like I have a (I'd like to say bowling ball) BEACH BALL stuffed all up under my shirt! But the doctor says that my belly measures well and that I'm doing good, so I'm just going along with it. 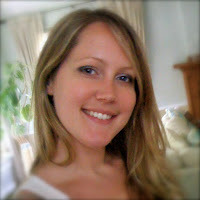 I was looking through photos in iPhoto yesterday and came across this photo of when I was 8 months pregnant with Liam. 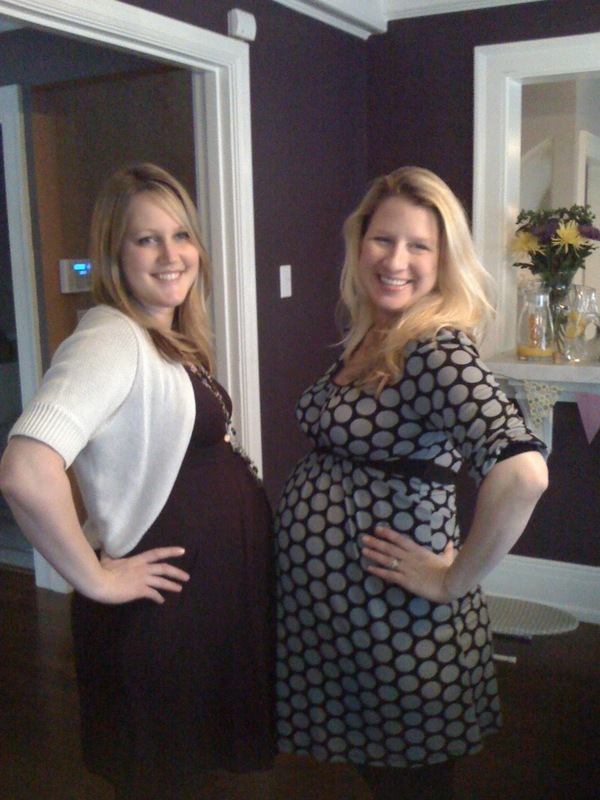 This is my friend Sarah and I at a baby shower she held for me the month before Liam was born (she was 6 months pregnant with her third child in this photo). Totally a beach ball, right? And I just realized that my hair hasn't changed much either. All sarcasm aside, I am extremely excited to meet the little boy or girl that's been rumbling and bumbling inside of me all this while. I'm also nervous about what lies ahead (can I do this all over again? will Liam like his sibling? will I have postpartum issues again?). I'm worried about getting zero sleep, getting in the groove of breastfeeding again and juggling a toddler & newborn at the same time. But I'm ever so thankful that we were able to get pregnant again and that I've carried the baby to full growth. To my little baby inside - I will welcome you with an open heart, open arms and an open mind. And I already love you more than you will ever be able to comprehend. Nice Blog, I can see why you have over 9,000 views.